Native to tropical environments, bromeliads bring vivid colors and interesting textures to your home’s decor. They are easy to care for and thrive in warmer environments. 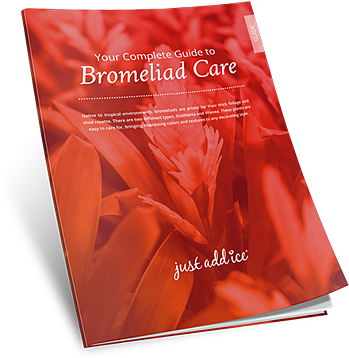 Fill out the form to the right to get your care guide and keep your bromeliad looking beautiful!